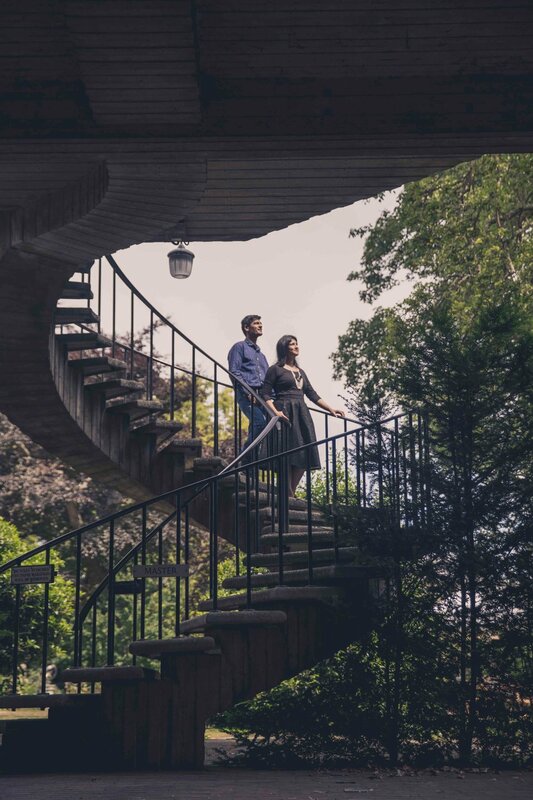 Pooja and Jaskarn had their pre-wedding photoshoot done in Cambridge. It was a wonderful sunny day with a lot of possibilities and spectacular views Cambridge can offer. Since it was a busy weekend, the couple and I were very patient while waiting for the tourists to pass. In some cases, however, I still had to apply some magical Photoshop skills and create an intimate atmosphere by removing pedestrians in the background. After her wedding day, @Pooja shared on her social media: "Going on the pre wedding shoot to Cambridge gave us much needed “posing” skills. At the engagement shoot we were awful to begin with. So much so that Natalia was on speakerphone in my skirt pocket (every girl needs a midi skirt with a pocket) and was giving us instructions across the river: “Guys, can you look like you like each other!“ and “Erm... can you not grab the arm? !” Or “Stop talking, your mouth will look funny!” Ultimately this made the wedding portraits look infinitely less awkward! Natalia even put little “corrections” on my selfies to help me achieve a look that would look best on camera. From choosing foundation that won’t flashback to the perfect highlight Natalia is every brides best friend. Every girl needs a photographer to tell her what works best on camera! Friend of mine and Natalia’s next bride @chandni.deb was just as amazed with her skills and managed to capture Natalia hard at work on the big day." View behind the scenes video from this pre-wedding shoot in Cambridge.